When it comes to toys I can be a bit of a minimalist. I actually hate tiny little toys with a passion at this point because they are always all over my living room. There is one exception to this – Legos. Over the last 3 years we have bought many different types of toys for our son. He has puzzles, coloring books, crayons, character toys from Disney, cars, dinosaurs, magnetic letters and every other type of toy. He has big toys, small toys, and every size in between. But there is one toy that he loves, it’s his Legos. While having small toys all over my living room seems to be a daily struggle and you might think Legos will exasperate the issue. The truth is because of how he plays with them I rarely actually have Legos all over my living room floor. L plays with his Legos usually in one small spot and if we clean up every night they never have a chance to spread throughout the living room. Of course the ultimate reason why every parent needs to invest in Legos for their kids is simple. They are quiet. No loud noises, flashing lights, or overstimulating and overly complicated functions. Quiet toys are every parents dream come true. Let’s talk about some of the ways that Lego’s help your child. Lego blocks are great for continued strengthening of fine motor skills. Start off with the larger Duplo blocks and then move to the smaller classic Lego sizes. As your child clicks the blocks together and has a continued motion of picking up the small blocks there hand strength will increase. This hand strength will help with drawing and writing later. You will also see hand eye coordination improvement as they continue to play with the Legos. At about 3 1/2, L started to write out his alphabet and numbers. As he continued to play with Legos and build on that hand eye coordination his writing improved greatly with it. As you may remember from when you were a kid building large creations with Legos requires some problem solving. Legos can greatly improve your child’s problem solving skills encouraging the natural scientist and engineer in every child. They can build large towers that don’t topple or a neighborhood of houses. You want to nurture your child’s creativity and Legos are a great way to do that. Legos help your child to expand their imagination by building their own mini world. Creative children come up with new ideas or solutions to problems easily. They have an imagination that can lead to them creating amazing products. They are also not afraid to ask questions and challenge things. That last sentence may scare you but a child that is willing to ask questions and isn’t afraid to challenge authority leads to a child who isn’t afraid to be a leader. I would even make the assumption that some of our current greatest inventors were creative children who played with Legos. Finally, Legos help to teach your child how to work cooperatively with others. Joining their imagination with another’s to create new tools, shapes, and cities. This type of play will help them drastically in the future for school projects, working in a team environment, and developing those really important social skills. Playing with Legos with another child or even adults helps your child to understand how to play well with others. To start off our list of best Lego sets for kids this classic quad pack is pretty fantastic. This is a great set for ages 4 and up and allows kids to build anything they want. It’s the ultimate helping to build creative skill sets. We are huge Marvel fans in this house so naturally we are inclined to purchase of few Lego sets featuring our favorite characters. While this set is a bit advanced for my kiddo, my husband (who is a kiddo at heart) would love to help our son build this set over and over again. Sometimes I really wonder why we didn’t have such awesome things when we were kids. When I was little I would have loved something like this because I totally wanted to be a veterinarian when I grew up. This pet center has a pet shop (or adoption center,) vet clinic, grooming center, and a grooming van provide all the pet imagination fun your kid wants. I love the 3 in 1 sets because you can build three different things with just one set of Legos. To be honest you can usually build a few more things too. With this set you can build the van, a car, or a lifeguard tower. The Women of NASA set features 4 amazing women who worked at NASA. All these women helped to expand the program into what it is today and we still see the results of their work. This set is a great for kids interested in space and teaching them a bit of history as well. The Lego City sets are a fantastic buy because they all work together for creative play. This set features a semi tractor and trailer along with a helicopter with actual spinning rotors. Every kid loves the idea of a tree house the moment they realize what a tree house is. I always wanted a tree house when I was a kid, probably because I spent so much time climbing trees. This is a great way to let your kid build the tree house of their dreams, until one day they have one of their very own. I really wish there were an adult version of this home because I want ladders, slides, pulley system, and a roof I can sit out on. This set looks like so much fun plus there are a ton of different ways you can set it up too. This is another 3 in 1 set where you can build 3 different dinosaurs with just one set. This set builds a T-Rex, a Triceratops, and a Pterodactyl. Like I mentioned before all Lego City sets work together so it’s a fantastic way to help teach your kids about the world around them. All while only needing to make small investments into Lego sets at a time. This is a fantastic set for family that love to go travelling or camping together. We happen to really like sharks in our home. This set is fantastic but it’s not just sharks you will be building because it’s another 3 in 1 set. This set also has a giant squid with flexible tentacles and a giant mouthed angler fish. This is probably the best starter kit for any kid. They can play, imagine, and build with all types of pieces and no need to stick to a certain set up. If you are just trying out Legos for your kid I highly recommend this option as a started kit for ages 4 and up. My 3 year old got this set and still loves playing with it. While we will be transitioning into the traditional sets here this set has really been a game changer for how L plays. He uses this set and others to build these hugely imaginative parks. If your kid is under the age of 4 this is a fantastic starter set. We had L playing with Duplo blocks at 9 months old and he’s been a fan ever since. If we want to get him a rockstar gift, the Lego and Duplo sets are always winners. This is a fantastic smaller set for the younger kids too. My son enjoyed this as one of his starter sets and now uses it to expand all of his other sets. That’s the beauty of Lego Sets. They can be used to expand other sets and build hugely creative places and objects. Legos are important for every kid to be able to expand their imagination. You will need a place where you can store all of these legos, right? These lego bricks will store the legos and even make clean up fun as your child can create a mini wall of lego bricks in their room. To develop problem solving skills, strengthen fine motor skills, encourage creativity, and teach your child how to play well with others you need to have Legos. The pain of stepping on a lego is far worth everything your child will gain from playing with them. Which lego sets does your child absolutely love? Let me know in the comments below. 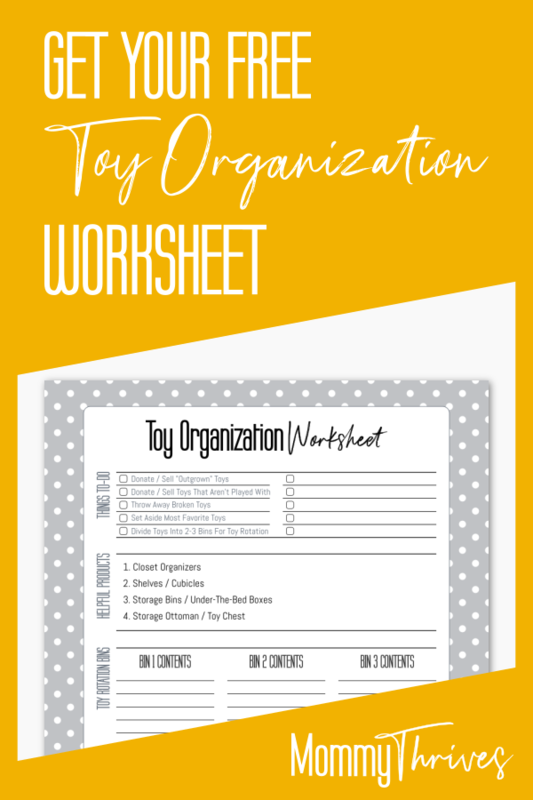 Follow me on Pinterest for more like this and pin this to your toys and activities boards. I’ve put together a list of Paw Patrol toys and decor that your kid will love to play with but won’t completely break your budget. If you have a child between the ages of 2 and 6 you probably know about Paw Patrol. Your kids are probably a bit obsessed with the show and want anything and everything Paw Patrol related. This will not be the last time an obsession will take over your kid or your wallet, so I’ve done my best to make it all a bit less painful. Paw Patrol started in 2013 and has been a long running show on Nickelodeon. The story is all about Ryder, the lead character, and his pack of search and rescue dogs. The show is extremely cute and you can visit their official website here. In preparing for the upcoming holidays I have a few gifts to buy for Lucas. He already has this super large puzzle and as he is getting older it’s time to get him bigger and better toys. I have covered everything from toys, bedding, bikes, chairs, and tables. There are even extra decor items to complete a Paw Patrol themed bedroom. I promise you this list has a bit of everything no matter which characters your kid loves most. As with all my toy recommendations I only really like to recommend toys that are going to be played with for a while. There is nothing worse than buying a toy that gets played with once or twice and then rarely touched after that. As usual though it all depends on your kid and how they play. If you child has zero interest in vehicles those toys are probably not a great purchase decision. If you kid is extremely active like mine, a play tent or bicycle will get played with all the time but the vehicles will be played with sparingly. The age range is from 2-6 years old so make sure that you are picking what is appropriate for your kids age and maturity level. Some items may have small parts and could be a choking hazard for the younger in this age range. I start off with toys, move into bedroom decor and furniture, and end with larger toys geared towards more physical activity. Related Post: 9 Products to Completely Organize Kids Toys. This group is mostly vehicles and smaller sets that your kid can play with in their bedrooms. Marshall the Dalmatian is the fire pup that helps the crew put out fires and get people down from tall places. With a moving ladder Marshall is ready to come to the rescue. Of course Marshall doesn’t just work on land. The sea patrol vehicle can roll easily on land but the tires fold in for going out to sea. The water canon lifts and lowers so Marshall can save the day. No paw patrol set is complete without Chase and his police cruiser. The police cruiser works with all other ultimate rescue toys mentioned here so the pups can work as a team. This high flying pup Skye is fearless and can get to rescue sites fast in her helicopter. She doesn’t have to fly alone either because the cargo area will fit two figurines from the ultimate rescue collection. Saving the planet and solving problems with creative solutions Rocky uses recycled items to fix broken objects. It’s a handy trade for the eco friendly. Saving water animals in underwater emergencies is Zuma’s job, but he doesn’t have to do it alone because two pups can ride in his hovercraft. Rubble moves debris out of the way quickly with his bulldozer so rescue vehicles can get through to emergencies quickly. The bulldozer easily connects with other ultimate rescue toys and has room for a second pup because emergencies take teamwork. With the Paw Patrol Lookout Tower all your ultimate rescue vehicles and pups have a place to call home. It comes with one Chase and one Marshall figure, several pup packs, and a vehicle. It only needs 2 AAA batteries to operate too. Chase can now follow his off road track to scale a mountain, repair a bridge, and save an owl. A fun and imaginative set for your little Paw Patrol fan. Now your kid can call out rescues on their very own megaphone. They will also enjoy the voice changing options for a fun experience. I’ve including both boy and girl options for bedding though the microraschel blanket looks like anyone can cuddle into it. Any Paw Patrol kid will love going to sleep on this bedding. What Paw Patrol fan wouldn’t love going to sleep with their favorite rescue pups on their sheets? This is such a great way to support your child’s fandom while providing functional and stylish room decor. This insanely soft and comfortable blanket is the perfect way to keep your kid warm and cozy at night. Does your little girl love Paw Patrol and pink? Then this is the comforter you should get for her. Like the previous category I have products geared towards both boys and girls. Here you can find seating, tables, and decals for their bedroom. Kids love pretending like they are adults so grab this fold and go chair for all your outdoor events. There’s a blue one available too. When I was a kid I wish I had a little sofa like this. Family movie nights are loads more comfortable with the fold out sofa to lay on. Give your kids a reason to put their toys away with this toy storage and organizer. With multiple bins you can organize the toys in a way that caters to your child’s natural playing habits. The table and chair set gives your child a place to color while also being a great place to store all those craft supplies. Related Post: 20 Best Toys For 3 Year Olds. Here I am listing larger toys that can be used inside or outside depending on the toy and circumstance. You will need a little bit of extra room for these toys. My son loves his play tents they are easy to setup and fold away nice and compact when they aren’t in use. Water tables are a great toy for summer fun on a patio. Avoid the local pool and still cool down with this outdoor activity table. Is your preschooler or toddler ready to start riding a bike? This bike will be impressive to all their neighborhood friends too. Of course safety comes first so make sure you get this matching Paw Patrol helmet too. Let your toddler ride his own powered quad while you go for a neighborhood walk. The quad’s max cruising speed is 2 mph so you can easily keep up with your toddler and make sure they are safe too. Want to build those creative skills in your toddler or preschooler? This easel is great for them to doodle, draw, and practice their letters, numbers, and spelling too. I’ve included this backpack and essential cases set too. Your kid would love to show off their new Paw Patrol backpack to all their friends at school. Make sure you toddler is prepped and ready for school with this back to school essentials set jam packed with all their favorite characters from paw patrol. Gift giving for kids is half fun and half necessary items. So if you get them new Paw Patrol bedding, match it with a large indoor or outdoor toy. If you get them a chair, also get them a small toy. Like I mentioned at the beginning of the post make sure you check recommended ages on all toys before purchase, especially if your child is on the younger side. Which Paw Patrol character does your child like the most? Let me know in the comments below. Follow me on Pinterest for more like this and pin this to your favorite for the kids boards. I’m always on the lookout for new and fun Harry Potter gifts because I love all things Harry Potter. I can’t wait to start sharing this fandom with my son. This month 20 years ago Harry Potter and the Sorcerer’s Stone was released here in the United States. Now we feel old. My husband gets a huge kick out of the fact that I am a Hufflepuff with a Manx Cat Patronus. Something about a badger and cat being the ultimate in not giving a four letter “F” word. I have geared most of these gifts towards children as I’m looking forward to raising my own little Hufflepuff, though all signs point towards Gryffindor like his daddy. The stories really are timeless and as parents it’s only natural for us to want to share our love for Harry Potter with our children. Some of these are better meant for older kids. At the bottom I have included the Harry Potter Books box set because your kids will want a set of their own, right? Harry Potter did something really great for an entire generation of children. It got us all reading books and building a lifelong love of books too. Not a lot of series have ever accomplished this task. Harry Potter fans will always enjoy new toys, novelty items, and gifts. All of the products featured here are sure to be appreciated but Harry Potter fans of all ages. When you are shopping Harry Potter gifts for fans it’s important to find out some information about why they love the Harry Potter series and what type of fan they are. Do they prefer the books to the movies? Who was their favorite character? If you aren’t familiar with the Harry Potter series consider asking them to explain it to you or to show you the movies. Read the books together and discuss what goes on. You might be able to pull information in a way that doesn’t give away your intention to get them a gift. This also gives them an opportunity to share what they may already have. Take the Pottermore quizzes and find out which house you and your friend belong to. If they are happy about the end results of the house consider buying them coffee mugs, shirts, socks, and more based on which house they belong to. There is also just asking them what Harry Potter paraphernalia they would like to own and asking them to set up a wish list on Amazon. This will not only excite them but also help you to choose a gift within your budget and choose a gift you know they will enjoy. While some of these toys are meant for children, I know many of us big kids and fans would get delight from these toys too. What an amazing way to teach your kid and build their imagination. Not only does the Kano Harry Potter Coding Kit teach them how to build a wand but it teaches them how to code with over 70 step by step challenges. I love Lego and what Harry Potter Fan wouldn’t get a kick out of building Hogwarts Great Hall. You can get a lot of play time out of a hall like this. Of course if you are building the Great Hall you probably should get the Hogwarts Express too. This way the little Lego figures can get to Hogwarts. Set up the Chamber of Secrets and the Whomping Willow and you … I mean your kids, will have a complete Harry Potter set to play with. Are you…r kids Quidditch fans? This flying golden snitch will delight them. While it takes a little practice to make this golden snitch fly it is a beautiful addition to any Harry Potter collection. Of course no Harry Potter cosplayer or fan would be without their wand. Get the best replicas for all your favorite wizard or witches wands. This is Harry Potter’s wand. Ron Weasley’s wand is another must have. Though I am partial to Hermione Granger’s wand myself. With all three wands you can have a lot of fun casting spells with your kids and trying to disarm each other. Finally delight your kids and let them get sorted into their wizard house. They can pretend to be first years at Hogwarts and get sorted into their houses. As promised here is a paperback box set so your kids can read the series and share the Harry Potter fandom. The best Harry Potter toys are the ones that actually get played with. They are the ones that help your kid to further their imagination into the world of Harry Potter. These toys can help your child to think outside of the box while also providing them hours of entertainment. Pick toys that help your child to build fine motor skills like the Lego sets. I personally love the idea of the Kano Coding Kit because it teaches kids how to do programming. Learning how to do programming can lead to great paying jobs and opportunities in the future if they stick with it. It’s like giving your kid a leg up in this world of technology. Use their favorite shows, movies, and books to expand their knowledge. This sets them up for a life filled with new opportunities as technologies continue to change and expand. I love just how timeless the Harry Potter stories are and I look forward to sharing these stories with my son in just a few short years. Harry Potter teaches bravery, kindness, and to stand up for what is right. Do you have a fandom that you plan on sharing with your kids? Let me know in the comments below. Follow me on Pinterest for more like this and pin this to your fandom and kids toys boards. We are geeks in this house, we did name our son Lucas. When it comes to geek toys we only go with the best of the best. This post gathers together the best Star Wars toys for your little Jedi master. I have a Jedi master in training in my house and we are always looking for the best Star Wars toys. Of course to be fair we didn’t really give him a choice in the matter. We did name him Lucas afterall. Still he has accepted the force and is training to become a Jedi Master. That is until he gets his acceptance letter to Hogwarts and decides to be a wizard instead. So as a Jedi master in training my son would love to have ALL the Star Wars related toys. This means that I have to do a bunch of research into finding the best of the best toys. Since I’m already doing the research I thought I would share my findings with all of you. I’m sure you already know this but knockoffs do not suffice in a Star Wars home, so if it doesn’t have that logo it’s not worth the money. Most of the same basic toy rules apply when looking at a specific fandom for toys. Is this playable? Will they play with it for more than 20 minutes? Will this toy last a long time? These are the things that I look at when I look for toys for my little Jedi master in training. I want him to enjoy this toy, play well with it, and play with it for a long time. The more interesting the toy the better chance that I can use it to distract him while I clean up, work, or cook. As a Star Wars fan myself it’s important to me that these toys be authentic and fun. I am not a collectors item person, my fandom doesn’t run that deep. However, any toy, with enough time, could become a collectors items. If you are looking for collectors items, this is not that list. These toys are mass produced and will most likely never be worth anything of substantial value. May the force be with you in deciding the best Star Wars toys to get your Jedi master in training. These are great toys for kids 4 years and up. These 12 ships appear in most of the movies so your child will most likely recognize and enjoy them. They do come with stands so they can be set up on a shelf and enjoyed or played with. They are die cast metal like most hot wheels and painted with attention to detail. The bladebuilders sets are extremely popular. Manufacturer recommended age is 4 and up. I personally believe this is better for 6 and up. As with any toy though it does all depend on the maturity level and capabilities your child displays. This toy allows your child to design and play with their own unique lightsaber. This is an adorable stuffed Chewbacca with real wookiee sounds. It’s great for ages 3 and up. My son loves all of his plush talking Star Wars Toys. He sets them up and plays the opening theme song all the time. It’s really adorable. These walkie talkies are a great toy for kids. With push to talk they will have a great time running around the neighborhood or backyard with them. Manufacture age is 3 and up on these. As always keep your child’s maturity and play levels in mind with certain electronic toys. Alright this is an absolute kids toys, there are some quirks with it. Recommended age is 5 and up but an advanced 3 year old probably wouldn’t have an issue with this. It works best on hard flooring, ok on low pile carpet, not good at all on high pile or shag carpets. It’s a great toy that kids love. This is the big daddy of BB-8 droids. This droid has three play options; remote control, voice, and follow me mode. The video on the Amazon page explains how to use each of these modes. This toy is geared towards kids 6 and up. Let’s face it though, the adults will have a lot of fun with it too. Ok life sized means 8 ½ inches tall, this Porg is adorable. The wings flap and the mouth moves while it makes the adorable Porg sound. Did you know the Porgs were created because the island they were filming on was covered in Puffins? This toy is great for ages 3 and up. We’ve all seen Chewbacca mom right? Well it’s time to get a mask of your own, I mean for your kids. The mask makes amazing sounds including one that sounds like “I love you” in wookiee. Just move the mouthpiece till the sound starts, it takes no more than 4 times for the “I love you.” This mask is great for ages 5 and up, though our three year old loves when we wear it. The Star Wars Nerf Chewbacca Bowcaster is absolutely a toy for older kids, ages 8 and up. It is a fun one that kids will enjoy playing with outside. As with any nerf toy you will need extra darts and maybe a couple extra Bowcasters so the whole family can get involved. My son loves his R2-D2 talking plush. We need to replace the batteries on it but he still carries his R2-D2 around and even sleeps with it. This plush is recommended for ages 3 and up but my son got his around age 2. This mask is pretty good. It changes your voice to sound like Kylo Ren. Recommended age is 5 and up but like the Chewbacca mask my kid loves when we play with this too. Finally, if you are going to do the Kylo Ren mask you should probably have his lightsaber too. Recommended age is 4 and up. With the addition of the Rey’s lightsaber (which was Luke’s lightsaber in A New Hope and lost in Empire Strikes back) you can now have realistic lightsaber battles. Toys break it’s a fact of life. Most of these toys have stood the test of time with my kid. We have not fully tested the Hero Droid BB-8 yet. Maybe this Christmas, shhh. If you teach your kid how to play and use a toy they are more likely to care for it. Most of these are pretty durable and will stand the test of time with your Jedi masters in training. Remember to think about how your child plays when deciding what toys to get for them. They may not be interested in the masks but would love the lightsaber options. If all else fails pick a couple of options and say, “Which one of these three do you like best?” It never hurts to ask and give them a choice. Which toy are you excited to try … I mean buy for your kids? Let me know in the comments below. Follow me on Pinterest for more like this and pin this to your kids toys boards for future reference. In an effort to help other parents and grandparents who are looking for gifts for their children or grandchildren I’ve put together this list of best toys for 3 year old toddlers. My son and other children from friends and family have really enjoyed playing with these toys I know yours will too. Shopping for 3 year olds can be challenging. They may not be ready for certain toys their age or they might be well advanced past normal toys for their age range. I’ve done all the research and found 20 of the best toys for 3 year old. I have a knack for shopping for kids toys. My son is 3, extremely active, smart, but doesn’t speak. This means he’s ready for some toys but not for others. Finding the correct toys for your kid means knowing where your kid is developmentally. When researching toys I specifically looked for toys that work well for ages 3-5. Longevity in use is important when buying toys. Nothing is worse then buying your kid a toy they only play with a few times before no longer being interested in them. I also looked for toys that encourages your child’s natural mimicking behavior. At this age they want to do everything we do. Instead of stopping that behavior we give them toys that help them to mimic what we do. This helps to build life skills. Finally I looked for educational toys that help to satisfy their natural curiosity. They can learn new and amazing things about the world around them. Additionally, this encourages lifelong interest into education and science. Related Post: 25 Best Paw Patrol Toys and Gifts. Educational toys should be more than just book smarts. At this age your child is more curious about the world around them. Giving them toys that educate them about their world helps them in the future. Teaching them how to clean up, different foods, and how to build will help to train those fine motor skills. Additional to this they can build up their imagination and creativity too. I love this Dyson Toy Vacuum.. With real suction and sounds it’s believable and your child will get an absolute kick out of helping you vacuum. This set comes with binoculars, flashlight, compass, and magnifying glass. They are fantastic for imagination play. Imagine you kid playing explorer on a playset like this. I remember I had a motorized Jeep these powered toys are really great. Especially if you live in a neighborhood with quiet streets or have a large backyard. They can drive around the backyard while you sit and enjoy some sweet tea while reading a book. This LEGO compatible table is perfect for your child. They can use the hard top surface for coloring and table top play then build huge towers with the LEGO top. The waterpark play table is an awesome summer toy. Sensory toys are all the rage and your kid will love playing with this one. I had to include one of my favorite throwback toys. My son loves his Star Wars Mr. Potato Head set. Additionally you can teach you kid about different parts of the body with this fun inexpensive toy. Children love toy trucks, cars, and heavy machinery. They play with them for years. These toy trucks are good for long term play. Help your kid explore and learn about science with this toy talking microscope. It’s comes with photo slides so you kid can learn about the world around them. It is not a real microscope to look at rocks or other items they find. A sandbox is a fantastic backyard toy for every kid with hours of enjoyment for several years running. The sandbox has a lid so you can close it up and keep the sand fresh. No sandbox would be complete without a full set of sand toys. Your kids can build sandcastles and dig till their heart’s content with these affordable buckets, shovels, and molds. This is a really cool toy. You can use it with a smartphone to teach your children about the world around them. They can learn to identify countries and what those countries are known for. Kinetic sand is a favorite among children and adults. It’s a cleaner version of moon sand and stays wet and moldable unlike play dough. Slime has been a favorite among kids because it’s fun to make and fun to play with. This kit helps you and your kids make slime together. These are a simple and quiet toy to teach colors, counting, and build matching skills. Toys like these are great for 3 year olds to build up those preschool skills. This is a fun imagination based toy. Solely for fun but a still a great toy that your child is sure to enjoy. These are extremely useful. They can help teach your child about the alphabet and spelling. Our son learned how to spell his name because of these magnetic letters. They are an affordable toy that every child will love. This toy is great for getting your child active while also enriching their young mind. This smart cycle turns learning into a game. There are three ways to play and it can play on a tablet or TV through Bluetooth. Get your kid interested in sports at a young age and build a lifelong activity to keep them active and healthy. The little tikes basketball hoop is just the toy you need. They can learn to play and stay active throughout. I love Melissa and Doug products. This set is a great one to help your child mimic your behavior with toys their own size. This picnic table with umbrella is a great toy for your kids to sit at outside. Enjoy a backyard picnic or let them play at it outside while you get some relaxation time. All these toys are great picks for 3 year olds and are likely to entertain and educate your child for a couple of years. The key to finding toys your child will love is to know what they already enjoy doing. If your child is super active go with toys that keep them active. For imaginative kids keep building on that imagination with building toys. If they follow you around everywhere and want to do what you do give them toys that mimic. Find what they are interested in and build on that naturally with toys that encourage them to play how they like to. Which toy is perfect for your kids play style? Let me know in the comments below. Follow me on Pinterest for more like this and pin this to your toys and activities boards. The amount of play kitchens for 3-4 year old children is amazing. It’s so hard to choose the right one too. You want something that will fit in your designated space while providing the most realistic kitchen experience for your kiddo. I put this list together when shopping for play kitchens for our own son and decided to share my research out to you. At about 3 years old your child will most likely start wanting to help you in the kitchen. Toddlers want to do adult things and feel like an adult. They want to mimic what you do. The best thing to do at this stage is give them a way to mimic by playing in one of the best kids play kitchen sets. There is always that little bit of doubt on if your kid will play with a kitchen. We went to Big Lots and bought one of their cheap little kitchens. Sure enough our son played with it. The problem with these little kitchens is they are easy to tip and easy for them to get bored playing with them. You can use the kitchen for more than pretend play time. Teaching your toddler the names of food and appliances. Also teaching them the properly handling of hot items by pretending the food that comes out of an oven is hot. It’s important for children to play in toy kitchens no matter what their gender. It can spark a lifelong love of cooking and teach them valuable lessons. A toy kitchen is a fantastic tool to help teach all toddlers new life skills. If you want a great kitchen that encourages a few years of play there are a few great ones to choose from. I’ve compiled a list of all the great ones to choose from. There is no one best kitchen set for kids because each kid is different and needs different things from their kitchen. I’ll help you decide which kitchen is best for your kid after I introduce you to the best of the best kids play kitchen sets. Coming in at the top of the list is this Melissa and Doug kitchen. I absolutely love all the Melissa and Doug products. This kitchen has all the standard and necessary items for years of imaginary play. It’s more than 3 feet tall and 3 ½ feet long. It’s big enough that multiple kids can play at it without crowding and the wooden construction means it’s sturdy. With any toy kitchen you will want to get all the accessories that come with it. I’ve included some of the best accessories to go with the kitchen of your choosing. When it comes to large toys for kids there are two brands I like more than the others. Melissa and Doug and Step 2. The next four kitchens come in closely after the first Melissa and Doug kitchen that I feature. They all have their own unique qualities. Any one of them will be a fantastic choice for your growing child and will give you a couple years of good play time. This kitchen stands at 26’’ and is 36” wide. It’s great for corners of the room and younger or smaller children. My son is about a head taller than other kids who are the same age as him so this kitchen does not work for him. It features all the standard appliances and like the first one is has a sturdy wood construction. Extra shelves to hold accessories and working nozzles on the sink and stove make imaginary play a lot of fun. This is a fantastic little kitchen for your toddler and it comes with a 25 piece kitchen accessories set. The stove lights up making pretend cooking look more realistic to your child. The set stands at 35.7 inches tall and 34.5 inches wide. It has plenty of spots to store all the accessories that come with it. While the set doesn’t have a fridge, it does have a coffee maker. Ok I’m going to be real here I absolutely love this kitchen. It’s big, realistic, and comes with 103 accessories. It has all the appliances that a real kitchen has, light up stove, and coffee station. It also has extra cabinets and storage areas. It’s 47 inches tall which means your kid will be able to fit in it for quite a while. The overall width is 50 inches so it will take up some space. Which could be a big downside for those with smaller spaces. This is a pretty fantastic kitchen set that your kid will love playing with for at least a couple of years. This playset is a fantastic middle of the road between the first Melissa and Doug kitchen set and the big walk-in Step 2 Kitchen Set. It’s comes with a 41 piece accessories set and has all the major appliances. Extra storage and a cute little picture frame area. It’s 48 inches tall so it will work well as your child grows. It’s also 45 inches wide and is extremely sturdy. Think about how your kid responds to your own kitchen. My son likes to help start the microwave and opening and closing the fridge. I know that when buying him a kitchen these two appliances must be in the kitchen. Think about how your kid plays. Do they move quickly from one thing to the next? Would they play well with a lot of different options? Do they play for longer periods of time with one item? Do they focus on a movie and sit quietly? Don’t laugh some kids are actually really great at this, I envy their mom’s and wish I knew their secret. It’s important to keep these in mind when picking the correct kitchen. Picking any large and more expensive toy for your kid to play with is a commitment. Making sure your kid will play with it for a long enough period of time is important. I love using the kitchen to teach Lucas. He’s learned about hot and cold and names of food. He’s learned what is needed to make certain items. He knows the egg sandwich needs english muffins, egg, and cheese. He knows the frozen waffles go in the toaster. These are all life skills that he has learned before he can even say the names of the food. You can take it further and teach colors and shapes of different food. Later that can go into learning how to spell the different types of food. You can get several years of teaching out of one kitchen set. It’s an important and safe tool to have in your arsenal of teaching methods. Your kid will have lots of fun while learning a lot about new kitchen related objects. The toy kitchen is the best way to teach your kid about actual kitchens. Any one of the kitchens above will be a great tool to use. Remember I have listed accessories as well in case the one you choose doesn’t come with the accessories that you need. Which kitchen are you getting? Let me know in the comments below. Follow me on Pinterest for more like this and make sure you pin this to your Kids Toys boards. Nothing sparks a great business plan quite like children. In fact all the items I’m sharing with you today are made by mothers who needed something like the item they are selling for their own tiny humans. It really goes to show how awesomely creative mother’s can get when in need of a solution. If you’ve read other posts where I feature Etsy products (Handmade Beach Cottage Decor) than you already know how much I love Etsy and all the sellers on there. In case you don’t know, when you shop from Etsy you are shopping small business. Women and men take their hobby and open a shop to make a living from it. Oftentimes, Etsy stores are the main source of income for the owners. At the very least it provides a way to pay for extracurricular activities for the kids. For me, Etsy makes up some of the income I missed when I switched from a full-time job to a part time gig and turned into a full-time blogger. You can read more about that in my post Working Mom to Work at Home Mom. As mom’s we are always looking for something that might make our lives a little easier, bring some sunshine, or give our tiny humans something unique. Well I have a roundup of all those things right here. Let’s dive right in. This is the most adorable crocheted unicorn I have ever seen. It’s a 17.5 inch plushie which makes it a nice big plushie for your child. It is machine washable and tumble dry on low heat which makes cleaning a breeze. If you have a little boy the next item is from the same shop. This awesome little jellyfish is about 8 inches long with plenty of tentacles for sensory. The bright colors will make it easy to find when it’s inevitably misplaced in the middle of a bunch of toys. It’s machine washable and dryable making it an awesome stuffed animal for your little one. If you have a tiny humans that like to play with toy cars this is the perfect gift for them. They can grab 4 of their favorite cars and put them in this wallet. It’s great for everything from road trips to waiting rooms. Velcro to secure it shut also makes it easy for little fingers to open it to play. A felt race track gives them a small spot on their lap to quietly play with the cars. This is a must have for the on the go parent and toddler duo. These adorable keepsakes are great for siblings. They come in dinosaur and heart shaped, measuring a little over 2 inches tall and wide. They are customizable with color and names. Perfect for children to remind them of the importance of siblings. I so could have used these necklaces when Lucas was younger. I have spent 2 years feeling naked because his little fingers would grab my necklace. The beads are made with 100% high quality food grade silicone which means they are safe for baby to grab and even chew on when teething. It’s fantastic for breastfeeding infants to play with as well. Completely safe all the specifications are in the description of the product. This is a must have for all mom’s. I am in love with this Poncho. Made to order and color customizable this is an adorable piece of handmade clothing for your tiny humans. Sizing is from newborn all the way up to 4-5 years old. If I ever have a little girl she will be getting one of these. This sun is an adorable print to have in the nursery. The owner of this shop has several other designs like this so be sure to check them all out. Add a bit of sunshine to your baby’s nursery or your child’s playroom. The print is 8×10 which will be great with a gallery wall or even on it’s own. This perfect little bow headband comes in baby, child, and even adult sizes so get one for yourself too. There are all sorts of different bow’s with all our geeky desires on them. Be sure to check all of her bows out. Get a custom banner for your kids room. You can even pick the colors. With all sorts of banners to choose from you are sure to get one your tiny humans will love. Hang above a headboard or above the closet doors this is sure to delight your child. Babies adore the tags on their blankets. It’s usually the first part of the blanket to wear out. So get your baby this extra soft with extra tag handmade taggy blanket. Measuring 20 cm x 20 cm it’s the perfect small blankie for an infant to carry around. For those of you with older children these awesome instant download PDF alphabet coloring pages are awesome. Simply download the file and print as needed. Your kid can color to their hearts content. She also has some pretty amazing personalized coloring pages too. They make for great birthday party activities or even daily quiet time so Momma can stay sane. Get a keepsake that your children can pass down. A profile child silhouette of your child is a fantastic sentimental piece. Hang it in any room of the house. A mixed media every piece is made according to your preferences and using your child’s silhouette. This bag is the perfect tote to pack for the beach, for a car trip, or even groceries. I love the message that this store has. This store also has all sorts of plushies and shirts. Be sure to check it out. I love these adorable teething rings. The fabric removes for easy cleaning and come in bright color options. The smooth wood ring is not waxed or stained making it safe for little mouths. They are easy for little hands and mouths to handle which makes them great for any teething baby. Get a personalised frame with your child’s name. Perfect for kids rooms and nurseries. She has many options in her store so be sure to check all her products to find one that works for you, your child, and your decor. Get a hand-painted on canvas monogram for your child’s room. With several different themes available there is sure to be one that will fit the decor of your child’s room. She also has several different sizing options available too. These adorable vintage style bows are great for little girls. The soft headband finishes any look perfectly. Fits newborn and baby heads with ease and without pulling hair out. Check out all the options in her store to find one to match every outfit. Hang this beautiful felt ball dream catcher in your child’s room. There is a monochrome option as well. This beautiful piece will help to create a peaceful environment in your child’s room. These adorable leggings are everything. While the star leggings are her best seller she has all sorts of different options so check them all out. Along with the leggings she also sell other awesome tiny human clothing creations. If you’re looking for original artwork for your child’s room, look no further than orangerinka. This store is filled with beautiful watercolor creations sure to delight you and your tiny human. This koala is my favorite. There you have it one awesome list of unique handmade items for your tiny humans. Having unique items for your kids means toys stay with your kid as it is uniquely theirs. For more awesome toys check out my post The Best Toys for a Toddler. Follow me on Pinterest and make sure to pin this to your For Kids boards on Pinterest.